Royal Wedding Recap: Did You Notice These 5 Sweet Sentiments? 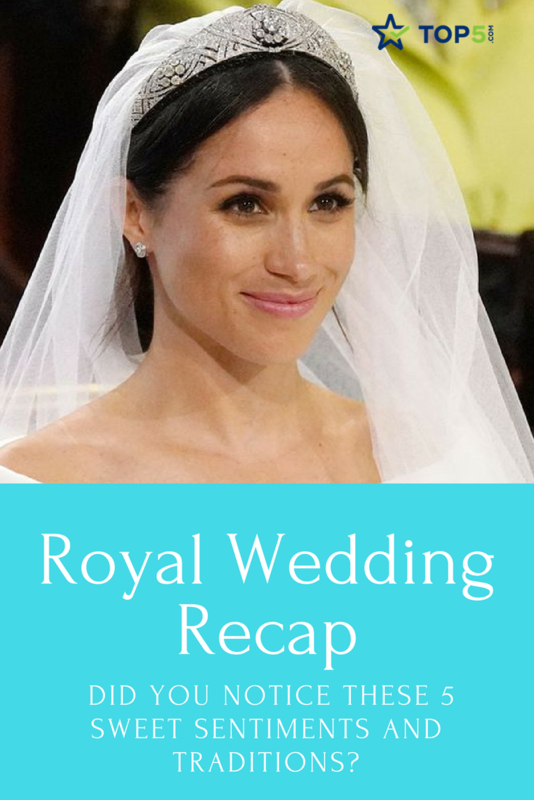 Top5 » Trending » Entertainment » Celebrities » Royal Wedding Recap: Did You Notice These Sweet Sentiments and Traditions? 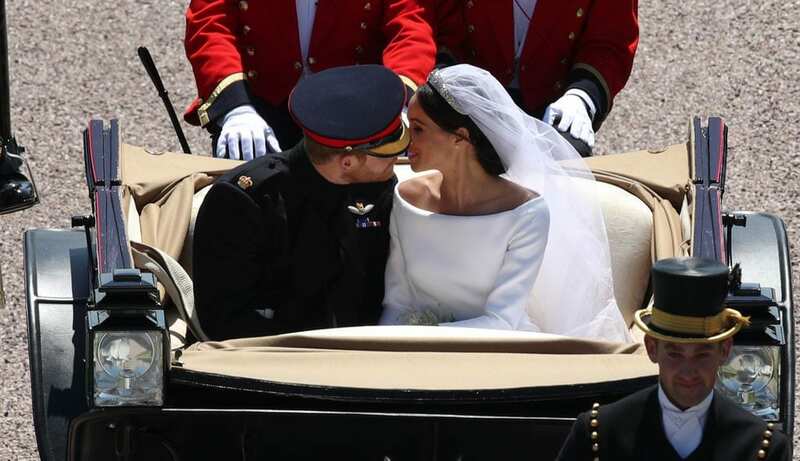 Royal Wedding Recap: Did You Notice These Sweet Sentiments and Traditions? There were a lot of predictions about the Royal Wedding, and if you watched the spectacular event, you weren’t alone. An estimated 29 million Americans watched Prince Harry and Meghan Markle say “I Do,” even more than the 19 million tuning into this Winter’s Olympics each night. 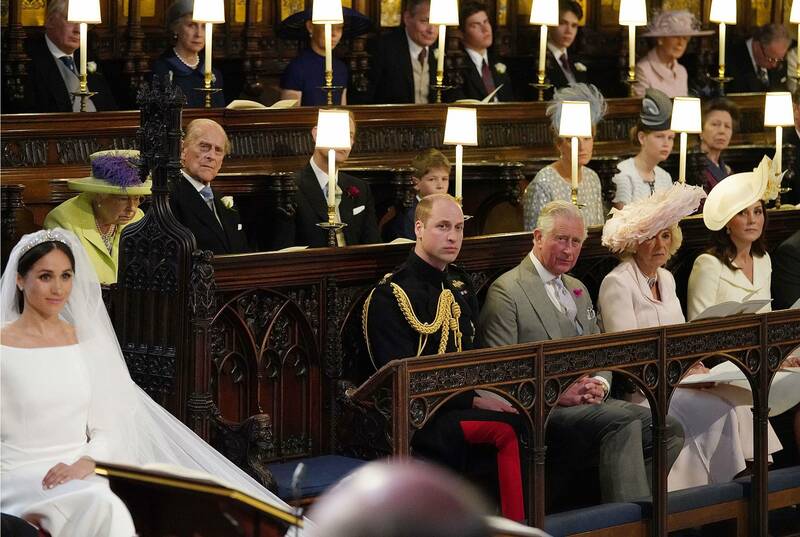 While all eyes were on the dress, the tiara, the reverend – pretty much everything – there were sentiments behind many things at The Royal Wedding that most people didn’t catch. Meghan Markle made a dramatic entrance up the steps and into St. George’s Cathedral, and all eyes were on her dress, the veil and the tiara. 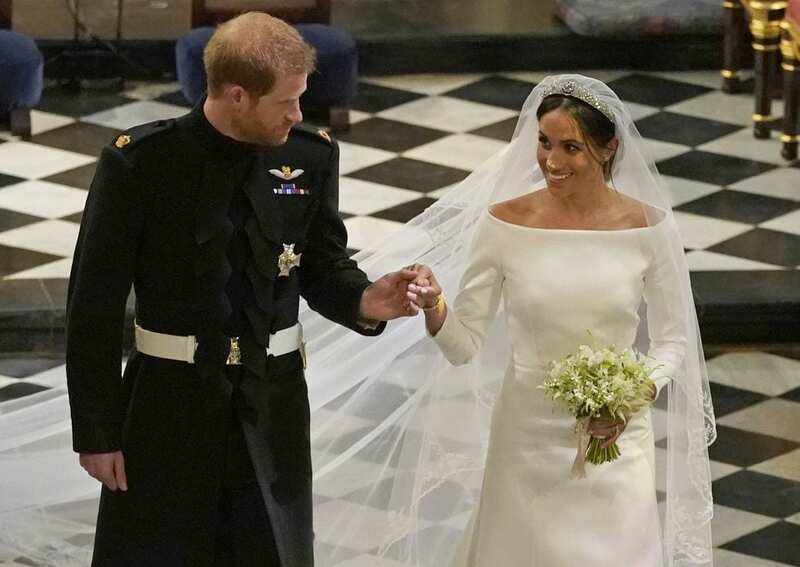 While her Givenchy dress, by British designer Clare Waight Keller, was simple and void of embroidery or embellishments, her veil was a different story. 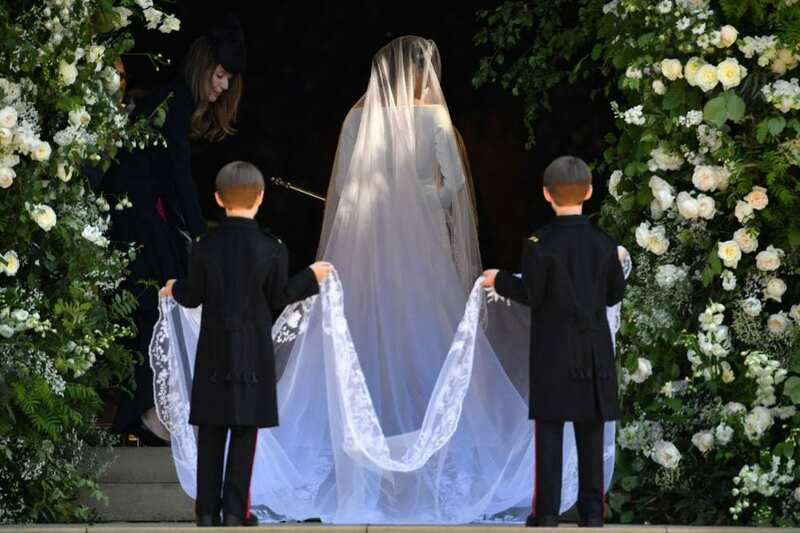 Meghan’s veil, also by Clare Waight for Givenchy, was more slightly more elaborate. Measuring 16.5 feet long, its edges featured delicate embroidery. Not only was it beautiful, but the embroidery carried special meaning. 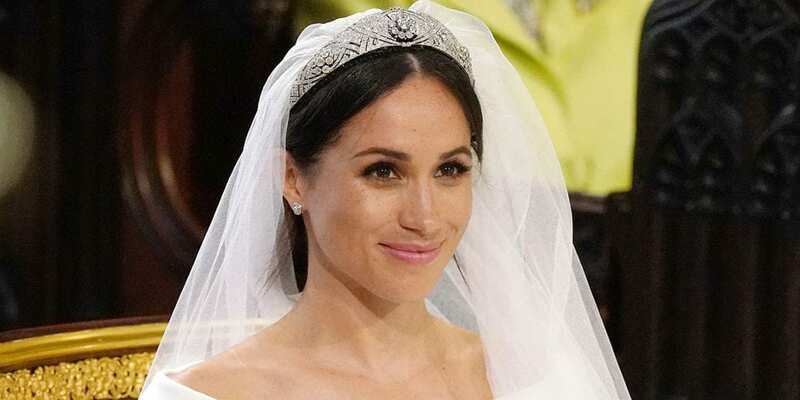 The veil wasn’t the only elaborate part of Meghan’s wedding ensemble: resting atop her head and holding the veil in place was a spectacular diamond encrusted tiara, lent to Meghan by The Queen, which she inherited in 1953 from Queen Mary. 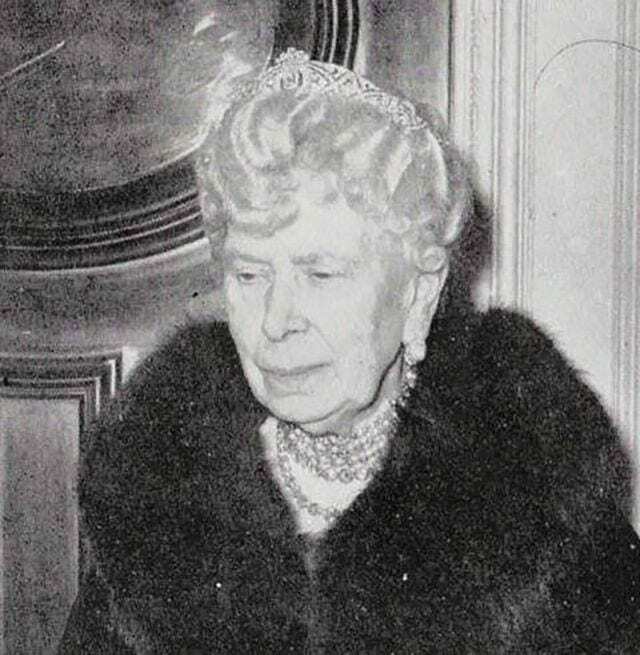 “The diamond bandeau is English and was made in 1932, with the entre brooch dating from 1893,” the Palace tweeted. It was originally made for Queen Mary, the Princess of Teck, and was designed to highlight the broach, which was given to her when she married Prince George, Duke of York in 1893. The Royal Wedding featured many elaborate and stunning headpieces, but none were as spectacular as Meghan’s tiara. 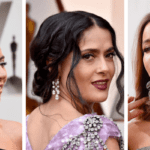 If you tuned in to The Royal Wedding early, you watched as celebrities, royals, commoners and more sauntered in, their ensembles rivaling the catwalks of the Spring 2019 fashion shows. The display of pastels and hats was incredible, as was seeing who was invited. As you watched the guests enter St. George’s Cathedral, it was interesting to see who would sit where. Particularly noteworthy was watching the first and second row seats fill up, marking who the VIPs were. One seat sat empty, the seat next to Prince William. Rumor has it the seat was intentionally empty to honor Princess Diana. While we love this theory, the real reason is less noteworthy: it was to provide The Queen an unblocked view of The Royal Wedding. Due to last minute heart surgery, Meghan’s father was unable to attend The Royal Wedding. Instead, she began her solo procession as planned and then Prince Charles met in the Quire (where the main royal guests will be seated). He did not give her away, though. He simply accompanied her a short way, and then stood back as Meghan approached Prince Harry. While Meghan and Harry were certainly the stars of TheRoyal Wedding, the Most Rev. Michael Bruce Curry of Chicago wasn’t far behind. Curry, the first African-American leader of the Episcopal Church, gave a fiery sermon with subtle political tones, calling for an end to poverty and quoting both The Bible and Martin Luther King Jr. Many believe he was also a tribute to Meghan’s heritage: her father is white and her mother is a woman of color. Curry has long campaigned for social justice issues in the US, which ties in well with Harry and Meghan’s humanitarian efforts, including anti-poverty causes. While the empty seat was mistakenly attributed as a nod to the late Princess Diana, the bouquet was not. In addition to the Forget-Me-Nots, Prince Harry added his own special touch. He handpicked a few flowers from the couple’s private garden and asked that they be included inthe arrangement. After the wedding, the bouquet was placed on the grave of the unknown warrior at Westminster Abbey, a tradition that started with The Queen Mother. The Grave of the Unknown Warrior was established in 1920 by Reverend David Railton. He requested that an unknown soldier be buried at Westminster Abbey to symbolize all who died in conflict. Today, it represents all members of the military who have died in international conflicts from World War I to today. Most royal men, including Prince William, forgo the traditional wedding band. Harry is breakingthis tradition by – well – favoring tradition. He chose a textured platinum wedding band and plans on wearing it. 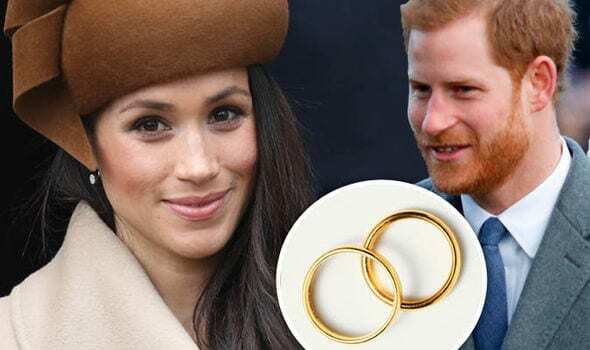 Meghan chose a simple gold band, comprised of Welsh gold, which was a gift from The Queen. Welsh gold mines have now been exhausted, and Welsh gold is significantly more expensive than regular gold. Welsh gold bands are a royal tradition that originated in 1923, when the now-defunct Clogau St David’s mine in North Wales gifted the royal family a nugget of gold. The nugget was used to make rings for The Queen Mother, The Queen, Princess Margaret, Princess Anne, Princess Diana and Kate Middleton. The band pairs well with her engagement ring, a three-stone diamond ring set in yellow gold band. 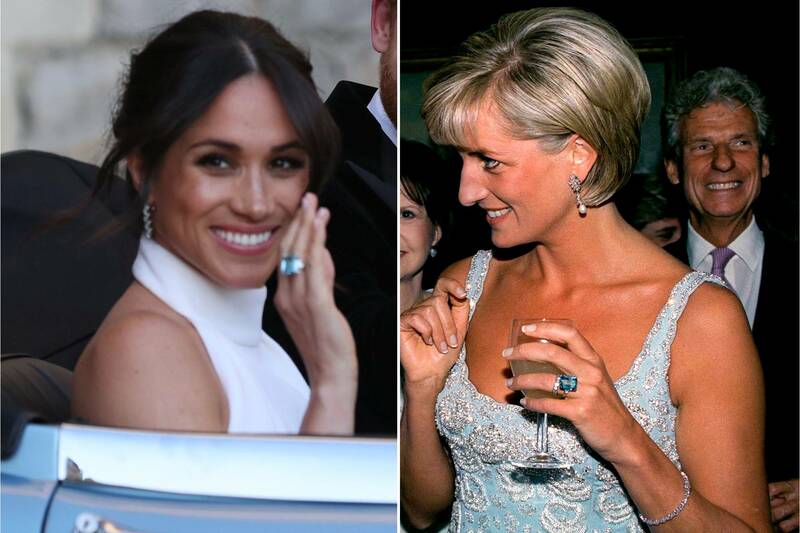 The engagement ring also carries significance: the center stone is from Botswana, where the couple spent much time together, and the sidestones are from Princess Diana’s collection. “It’s obviously yellow gold because that’s [Meghan’s] favorite,” said Harry in the interview, and the side stones “are from my mother’s jewelry collection to make sure that she’s with us on this crazy journey together”. Meghan and Harry left St. George’s Cathedral in a vintagehorse-drawn carriage, officially known as an Ascot Landaus, one of five of the open-topped carriages held by the Royal Family. The carriages are used annually during The Queen’s procession at Royal Ascot. They were commissioned in 1830 by Prince Adolphs, The Duke of Cambridge, and gifted to Queen Mary in 1920. 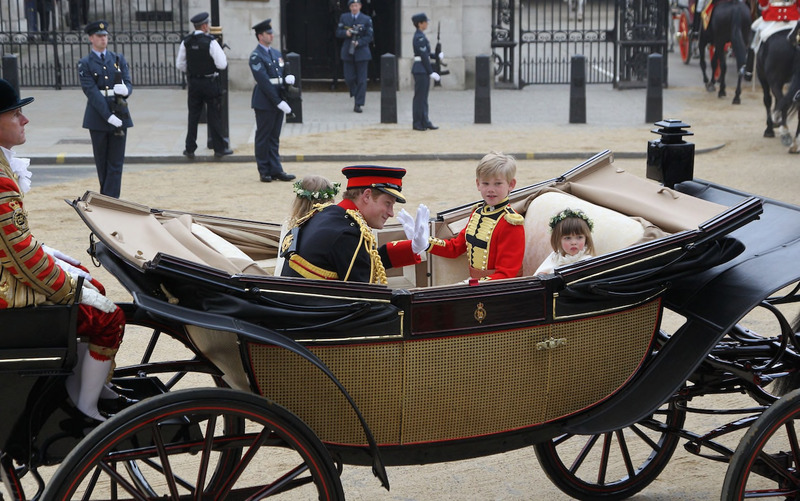 Prince Harry and Meghan aren’t the first royals to choose this carriage to take part in their wedding day: Kate and William, Princess Diana and Prince Charles, and Sarah Ferguson and Prince Andrew also used Ascot Landaus’ in their weddings. While Meghan kept her look to whites and diamonds at the wedding ceremony, she livened things up a bit for the reception. She changed into a stunning Stella McCartney gown and added a few touches of blue to her ensemble. Meghan opted for custom-made Aquazurra shoes. The shoes themselves were white satin, but she had requested the soles be dyed baby blue. On her right hand, she sported something a bit more opulent: a massive emerald cut aquamarine ring that once belonged to Princess Diana. Just like the forget-me-nots in her bouquet and the side stones of her engagement ring, this was yet another sweet sentiment in remembrance of her late mother in law. 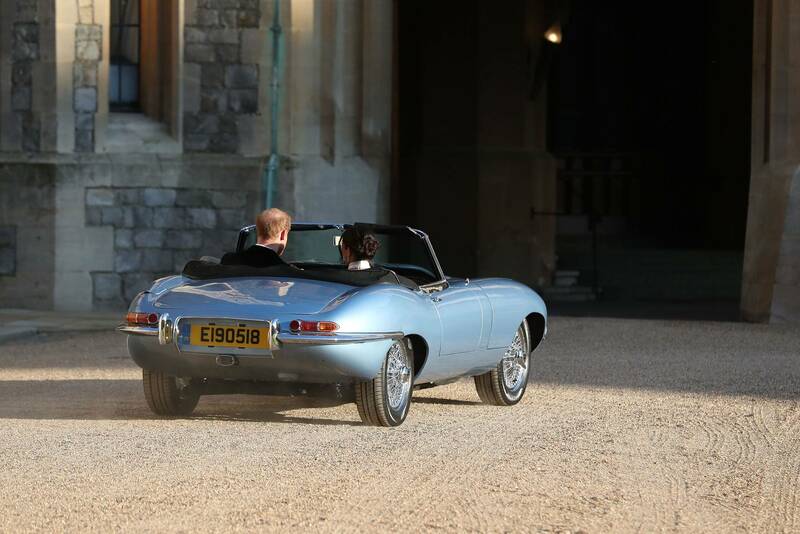 Harry added his own touch of blue to the wedding: a converted 1968 Jaguar convertible, a car Enzo Ferrari once called “the most beautiful car ever made.” The silver-blue convertible is a Jaguar E-Type Concept Zero and is actually an electric car. The Royal Family has a tradition of driving Jaguars, with The Queen and Princess Diana favoring them for personal use. Harry kept this tradition alive, but wanted an eco-friendly version, showing his committment to ecological causes (and style). The car had one additional meaningful touch: a customized license plate reading “E 190518”, the date of the wedding (in England as well of much of Europe, the day comes first in abreviations rather than the month, thus 19th of May 2018 is 19-05-18). Did you watch The Royal Wedding? Tell us in the comments what your favorite moment was.